Triple Pocket Hold'em Poker - Casino Answers! Triple Pocket Hold’em Poker, which is an online poker game made by Microgaming Software Systems, is a me-too version of Texas Poker. This online casino game is a recent inclusion into the developer’s Gold Series. The informal word “Hold’em” is a truncation of “hold them”; “Triple Pocket” means three hands, or three chances, or pocket cards served thrice. Therefore, the name Triple Pocket Hold’em Poker was inspired by the nature of the game wherein players are provided with pocket cards three times, and they can opt to or not to hold the[m] cards during the first two offers. The table limit is $1 (minimum) and $200 (maximum), and the betting chips values are 200, 25, 1, 5, and 10. Playing Triple Pocket Hold’em Poker requires a player to: place the mandatory “Ante Bet”; press the “Deal” icon; and decide to hold the given first set consisting of two virtual playing cards or else press “Deal Again” to get two more sets. If the second batch does not excite the player too, then the third and last set is not optional. Wins are determined by the pairs or flush or straight that a player’s pocket cards complete juxtaposed with the dealer’s hands; losing a game implies losing an “Ante”. The highest payout is 50:1, which is for the Royal Flush, whereas the lowest payout is 1:1 for any other poker hand that wins. Other payouts are 20:1, 10:1, 4:1, and 2:1, which are for Straight Flush, “4 of a kind”, Full House, and Flush, respectively. An impressive aspect about Triple Pocket Hold’em Poker is its highest possible payout (50:1). In the Triple Pocket Hold’em Poker, the dealers have an upper hand based on their two hands considering the players’ one hand. But this is toned down in the context of dealing cards. 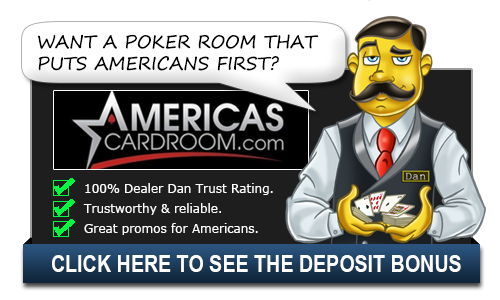 The dealer has not only one opportunity for getting the playing cards, but also gets the cards rejected by the player, whereas the player has three opportunities and is given a priority when selecting. Triple Pocket Hold’em Poker has an interface that evokes an image of a minimalistic developer, but vital convenient fittings have been disregarded, such as an “Autoplay” icon. Another advantage is that the player has to pick the two offered pocket cards in the run up to seeing the yet-to-be-revealed community cards. So, how can a player compare the pocket cards with the community cards so as to determine the suitability? Triple Pocket Hold’em Poker boils down to guesswork. When playing Triple Pocket Hold’em Poker, it is not advisable to ignore the first two compulsory playing cards because the third offer is mandatory. A player needs to retain either the first or second hand dealt, by simply pressing “Hold” icon, if it will bring about a competitive edge. It is worthwhile to hold paired pocket cards and consecutive face values because community cards might turn the tide in a player’s favor. All in all, thinking about must-have strategies or special skills should not put a damper to a Triple Pocket Hold’em Poker player because it particularly depends on hunch. The house edge associated with Triple Pocket Hold’em Poker depends with the playing strategy, but the optimal strategy is associated with 2.27%. The Return to Player (RTP) rate of this casino game is largely unknown; however, the bonus bet of the game which it is modeled on, Texas Hold’em Poker, has a RTP rate of 91.10%.